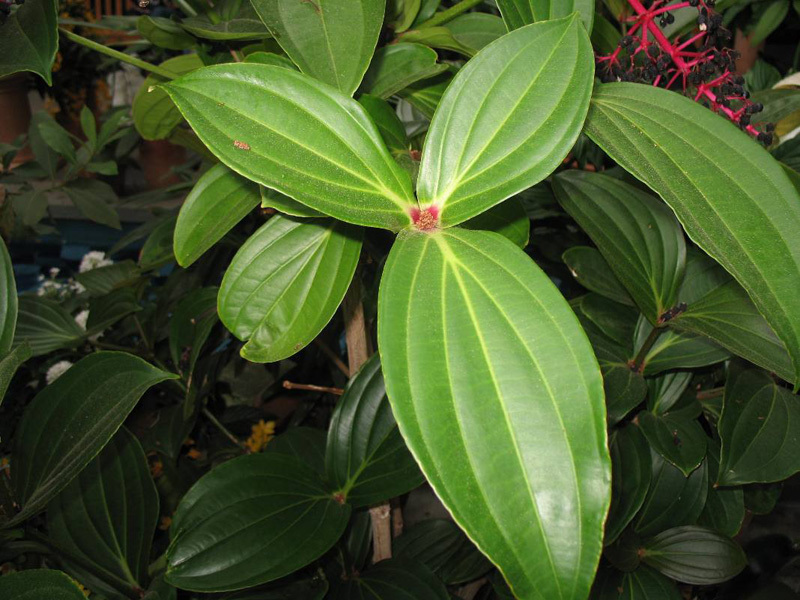 Comments: Leaves are dark green, thick, waxy, have pale green veins and may reach a length of a foot or slightly more. In spring and summer pendulous flowers may occur in small pink brachts and bear seeds. Flowering is most common spring and summer.